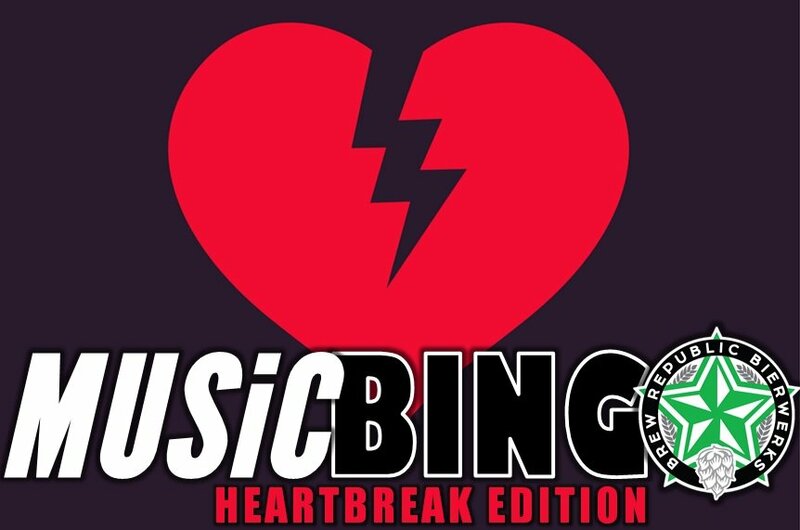 Join us for a special Valentine’s Day Heartbreak edition of Music Bingo, this Wednesday starting at 7pm. Grab a beer and a bingo card, ID the tunes you hear, mark your card, and win major awards… it really is that easy. Note: dance-offs are used to break ties so be sure to wear comfortable shoes. Plus, Wednesday also mean 50 Cent Wings during Happy Hour (3-7pm) and 20% Off Growler Fills all day (2-9pm)… Wingo-Bingo Wednesday is serious business!